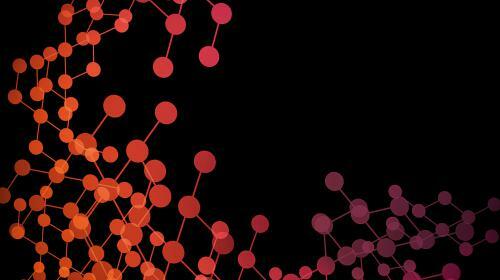 In conversations with many CEOs, CMOs, and senior business leaders, we found that most of them cannot get a true picture of their marketing mix. Many are unable to benchmark against peers and industry leaders. Many said they receive individual reports on PR, social, email, website, events, and demand generation. No context. Just more silos. That’s why we created the LEWIS Marketing Engagement Tracker (LEWIS MET). For the first time, using our proprietary methodology, we can measure the impact of the marketing mix. We can now reveal the performance of many factors across the digital marketing spectrum from websites, paid search copy, and social media, to personalization, analytics, and security. 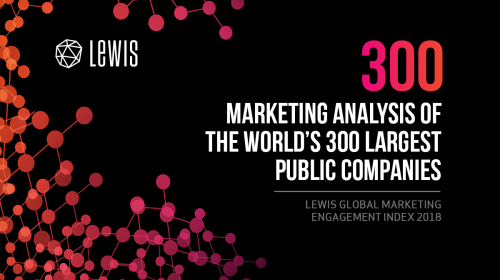 Using the LEWIS MET, we analyzed the top 300 from the ‘Forbes Global 2000: The World’s Largest Public Companies’, creating the inaugural LEWIS Global Marketing Engagement Index. We can see where brands are both strong and weak, challenged or exposed in their marketing engagement. For the first time, companies can quantitatively compare marketing engagement, both within their industry and with players in other sectors. The hackability of websites was much higher than expected including within industries where security is paramount. 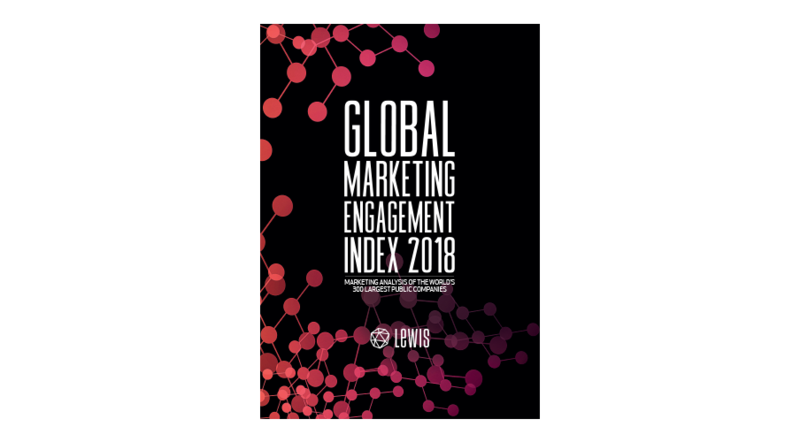 The report outlines who is winning the engagement battle, as well where brands have opportunities to engage with their customers wherever they are. It provides marketers with the ability to both look across the entire marketing engagement spectrum (the parenthesis) and look down at specific marketing touch points (the analytical). By taking this approach, we believe the LEWIS MET brokers a new era of marketing – Quantified Engagement.